It feels like it’s been mere days since the Philadelphia Union crashed out of the MLS Cup playoffs, beginning yet another offseason of questions about the team’s capability — and willingness — to compete for a championship. And yet today a new edition of the Union — the tenth, if you can believe we’re already at that milestone — gathers at Penn Park to begin preparations for another long season. As always, there are questions to be answered. The first big question of preseason is the obvious one. Who exactly will be playing for the Union this year? We know that Ernst Tanner has been on an Odyssean journey overseas in search of talent, looking for a left back and (in all likelihood) some midfield help. Those journeys don’t appear to have paid off yet. What we did get yesterday was two rumored signings — a veteran defender and a backup goalkeeper. I dig the Aurelien Collin signing, which the Union made official this morning. Over the last few years, the Union have brought in very few guys who are “MLS guys” — players who’ve spent the bulk of their career in the league. Not counting Collin, the 2019 roster only has three players (C.J. Sapong, Warren Creavalle, and David Accam) who’ve played for an MLS team other than the Union. Given that MLS guys tend to cost very little in transfer fees or salaries, are accustomed to the rigors of the league, and don’t need to move to a new country, they seem like low-risk, high upside options for filling out your bench. Collin reminds me a lot of the Oguchi Onyewu signing from 2017. He’s a bruising, take-no-crap centerback in the decline of his career who can give you professional minutes as a spot starter. He’ll also contribute as a mentor to Auston Trusty and Mark McKenzie, who are the Union’s two most important players. Hopefully, too, he’ll give this team — which could not keep their heads at key moments last season — a tougher mentality. 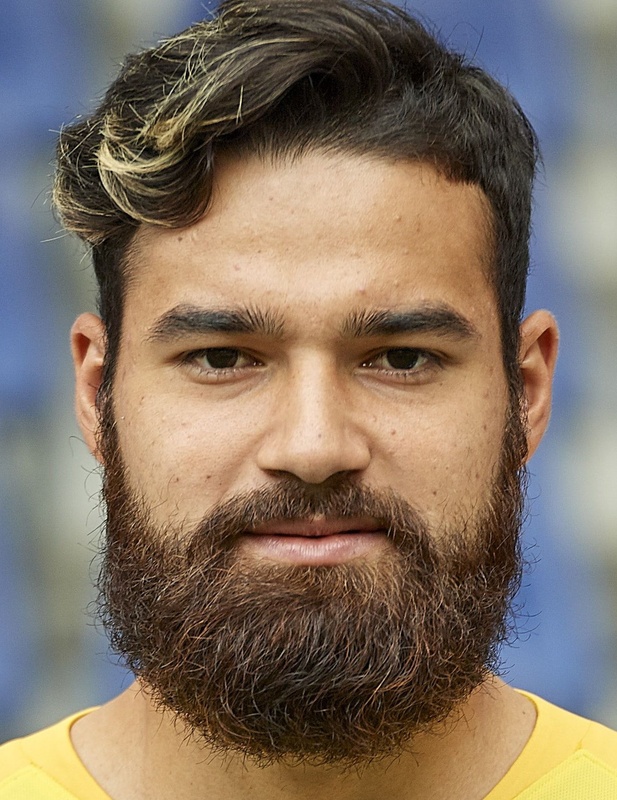 Now, I don’t know anything about Carlos Miguel Coronel except what you can pull off his Wikipedia page: he’s Brazilian, he just turned 22, he’s got a magnificent beard, and his last club was Red Bull Salzburg. What can we deduce from those facts? Well, this is a clear instance of Tanner bringing in a player he knows — Miguel joined Red Bull Salzburg when Tanner was the club’s academy director. He’s young enough that he’s not expecting to start right away, but seasoned enough that he should be able to step in and do the job when Andre Blake is off on Gold Cup duty this summer. If the Union like what they see, they can cash in on Blake and feel good about a few seasons of Miguel while Academy product Matt Freese develops further. The question, as it is always with the Union, is use of resources. If there’s one player America produces, it’s goalkeepers, and there are plenty of adequate guys kicking around MLS. From a pure roster construction standpoint, you’d have expected the backup keeper to have a bit more seasoning, especially with the young Freese already on the depth chart. It’s an interesting move from Tanner, and I look forward to seeing him in some preseason action. The next big question is the team’s shape and style. The Union have spent the better part of Jim Curtin’s tenure as a 4-2-3-1 team, with Earnie Stewart instituting that formation and a possession style as the entire club’s ethos. It looks like that will change this year. Ever since Tanner’s end-of-year press conference made clear that the days of the possession 4-2-3-1 as the only system in Philadelphia were over, Union fans and observers have speculated over how the team would line up in 2019. Yet there’s been little concrete evidence that would tell us exactly what the new shape would look like. Preseason should give us our first sense of how the team will line up and what types of players Tanner and Curtin envision playing at each spot on the field. Finally, the (related) question that most interests me is what the team will do with its stable of attackers. Without a dedicated No. 10 and having shed the team’s best offensive fullback in Keegan Rosenberry, the Union will need to create offense from an intriguing mix of players. You’ve got two returning disappointments: C.J. Sapong and David Accam. You’ve got two returning standouts: Fafa Picault and Cory Burke. You’ve got two total unknowns: Sergio Santos and Kacper Przybylko. And you’ve got one Ilsinho: Ilsinho. It’ll be fascinating to see which of these guys play together, in what positions, and how they look to create offense. I offer two points. They now have five center backs total on BOTH teams with any professional experience, and for certain when they go to FL they will begin to install Tanner’s new system. I rate it highly UN-likely that they use three center backs this year. Note in Tanner’s comments about Aurelien Collin that he said Collin already knew the system. Collin has played as a dual center back not in a trio. Second, Matt Doyle asserts in a recent article on the MLS website, One bog Question for each club going into preseason or some such title, that Tanner will play a high pressure 4-4-2 because that’s what his teams have done before. My question is: Are we going to sign a left back and another midfielder? Or are we all in on Real, Jones, et. al. I can almost get behind a playing the kids movement from this club. Actually, I think I prefer it a lot to signing League 2 strikers or 3rd tier German signings. Either way, he’s going to have to fill some slots on the Steel roster, it seems. I’m not sure this roster is better than last years at all. One big missing piece(s) here is the midfield. I’m cool with 4-4-2 and thrilled that we will adapt to each game as needed. The problem is our midfield roster really does not fit that scheme at all. I can’t see Haris or Ilsinho fitting in a 4-4-2, neither have the pace or work rate for it. And if we were to go with Jones and Bodoya in the center, where is the creativity? A big midfield signing on the wing or as a central playmaker would go a long long way. I’m thinking of the practice field. If you have a young back line and had to go up against the technical skill of Ilson Jr. and the Midfield skipping passing of Haris everyday, your skill set, decision making, and fortitude are going to improve dramatically. Now have Collin knock Santos and the younger Midfielders on their behinds a few times, they might learn a few things about playing in a physical league. I’m not expecting great things from the team this year, but I’m willing to bet we will Redoop early just to enjoy watching the youth movement flex muscles in the next campaign. I’m convinced the 4-2-2-2 is coming. Tanner coming from RB Salzburg, the two striker talk, the more transition talk, the lack of a #10, and now signing Collin (who has experience in the system) as a mentor to the young backline. Thoughts on the 4-2-2-2? How does it operate? What kind of teams run it? Just looking for some info. Other than the obviously of how guys lineup, I don’t know anything about it. His time at Nantes overlapped with Bedoya’s. I don’t think we see a 3-5-2. From reading the tea leaves, think we will see a 4-1-2-1-2 (or basically a 4-4-2 with a diamond midfield). That seems to be a trend this year in Europe (ex. T’ham recently). Teams use the diamond midfield to overload the center of the field with the two “wide” players essentially tucked-in “8’s”, and the width coming from the fullbacks getting up into the attack. An example is the recent T’ham v. Man Utd game, when Spurs played a 4-4-2 diamond in the first half and once that wasn’t working switched to a 4-2-3-1 at halftime. This could give the Union slightly different looks and make them a little bit harder to game plan against. And in that version of a 4-4-2, think RSL & Beckerman in his heyday, Medunjanin might be able to play the deep-lying midfielder. For Bethlehem Chambers definitely could. Medujian cannot play the role anywhere near the way beckerman did. Beckerman was a destroyer, medujian is a turnstile. Haris can’t play that role. Jones maybe if all of his other game deficiencies get cleaned up. I am extremely underwhelmed by these signings. We need a damn CAM — or, if we play a formation that doesn’t use one, it doesn’t change the fact that we need a creative midfield player. Bedoya is definitely not that (much as I like him as a player). Ilsinho is definitely not that. I am all for handing Derrick Jones the keys at DMid, but that still does not address the aforementioned problem. Also thanks to the Rosenberry deal, we need a damn RB. And we already needed a LB. If we’re going into the season with M’baizo/Real/Gaddis/Fabinho as our fullback contingent… that’s unlikely to cut it. I was assuming there would be at least one more major signing this off-season, maybe two. If there isn’t, then this is unquestionably a weaker team than last year’s, and I don’t expect to be attending many games (if any). It’s an awfully small preseason roster. seams like the same late preseason, hoping to see better results…striker signing aside, not impressed GO UNION!! !